In addition to financial support granted in the current 6-year contract (2007-2013) binding the State and the Regions, the Center for Molecular Biophysics is involved in research programs funded by the CNRS and also by non-profit public and associative organizations. Some of the research teams at the Center for Molecular Biophysics take part in the activities of the special interest groups Génomique fonctionnelle et Structure des protéines appliquées à la Signalisation et à la Transcription (GSST) (Functional genomics and protein structure applied to signalling and transcription) and SOLEIL, and are members of the regional cluster on imaging, Centre Imagerie. 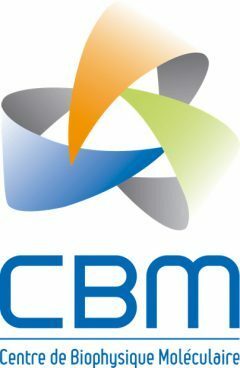 The Center for Molecular Biophysics also collaborates with many private companies, ranging from start-ups (Nucleosyn, Glycodiag, …) to large national and international groups (LVMH, Laboratoires Servier, Pierre Fabre médicaments, EDF, Abbott Spine, …). The Center for Molecular Biophysics takes part in the activities of the competitiveness cluster “Cosmetics and Welfare sciences’ set up within the region.